Longer web page loading times, buffering on videos, some sites not loading correctly and video streaming concerns are known as browsing issues. We recommend trying the strategies provided in this guide to improve your browsing experience. Try various other web browsers, Mozilla Firefox and Google Chrome tend to operate well for general browsing purposes. Clearing the browsing cache can also help improve your browsing experience. To clear the cache, click the 'Start' button and type in cmd in the search box. Press 'Enter' on your keyboard. Command prompt will then appear, type in "ipconfig /flushdns" without the quotation marks. This will remove all DNS cache entries and might help resolve your browsing concerns. Reboot your computer and test again. Browsing issues can also be resolved by adjusting the DNS configuration in your computer. The DNS server address is usually obtained automatically, but you can set it to something more reliable. 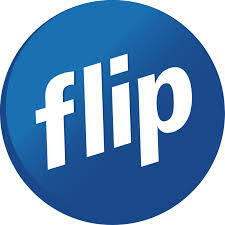 We recommend Flip DNS and Google DNS, as these are free and provide an exceptional experience. Updating the DNS settings within the modem will allow each device to connect online using your pre-configured DNS severs. This guide looks at implementing Flip DNS settings into our Netcomm modems. Please note that this concept can be applied to any modem/device although the instructions are for a Netcomm modem. We recommend Google searching your modem/device update DNS for instructions.